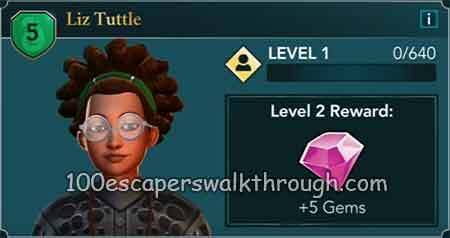 Friendship guide for Harry Potter Hogwarts Mystery Liz Tuttle Walkthrough – Liz ‘Lizard’ Tuttle is a Slytherin who’s main ambition is to make sure all creatures are treated equally. If you’re having trouble with an animal-oriented ingredient or have any creature questions, Liz has the answers. What plants did you study? o is that a unicorn?! x is that a pony?! x is that something i would do? o But what about Hippogriffs?! o But what about Animagi?! Drink Butterbeer – Prove how well you know Liz ! Who’s my Head of House? Strengthen Friendships ! You can have special interactions with your companions, like Playing Gobstones in the Courtyard and Eating Meals in the Great Hall. Complete these interactions to raise your Friendship Level and unlock valuable rewards. You can even earn the chance to invite your companins on special adventures!